Get notified when Sasquatch! Music Festival tickets are available! 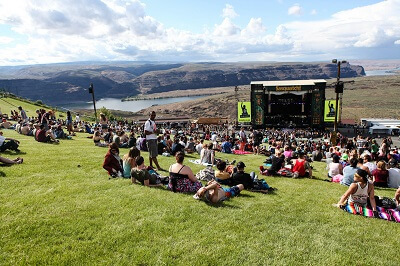 Each year, the Sasquatch Music Festival is held at the Gorge Amphitheater in Goerge Washington. It usually happens over the Memorial Day weekend, and it can last anywhere from three to four days. The festival features several different genres spread across five stages with alternative rock, hip hop, electronica and singer-songwriter music being the focus. However, there are also comedy acts at the festival with camping in the fields near the festival. It has been listed in the top 10 of summer festivals in the United States and you should get your Sasquatch tickets early if you want to go.